Developed on one of Robertson Construction's flagship projects, the MyRobertson system has already helped to make significant savings for the company. The system is a crucial first step in digitising Scotland's biggest principal contractor, and help them achieve their community and environmental goals. Workers working with Robertson will arrive at this page first. They can create and re-access their profile by entering in their information. This information can also be verified against the CITB database. This page provides an overview to the MyRobertson induction process. It’s the first opportunity Robertson have to introduce their Health and Safety culture. From here, workers enter in their personal information, which is securely stored. Information, such as address and vehicle used for commuting to site is used to help calculate KPIs for the site. Workers are asked to select whether they work directly for Robertson, self employed or for a member of the supply chain. To record the occupation and trade of everyone onsite, workers can list their skills as stated on their skills card. To store proof of a worker’s qualifications, photos of skills cards and additional certificates can be uploaded. Workers may also provide emergency contact information. 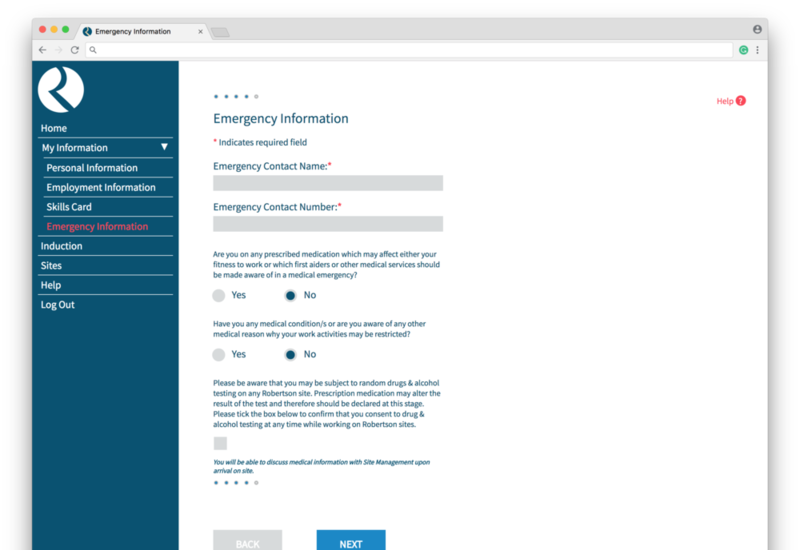 This can be accessed by the site team in the event of an emergency. A worker can also highlight any medical conditions the site team should be aware of. This can then be discussed when the worker arrives onsite. Once the worker has completed the data entry sections, they then move onto the induction video and questions. Workers watch Robertson’s own Health and Safety Induction video. This covers all the relevant information usually provided during the site induction. Once the worker has finished watching the video, they are presented by 5 randomly selected multiple choice questions. These questions are based on the content of the induction video. If the worker answers a question incorrectly, they must re-watch the video and answer a new set of questions. Once the worker has answered all of the questions correctly, they have completed the induction. 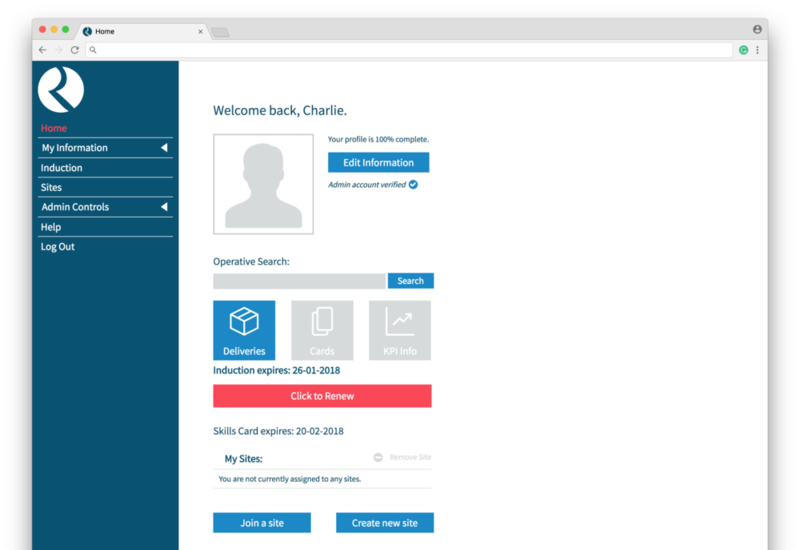 Now that the worker has completed the induction, they can join the site they are due to work on. 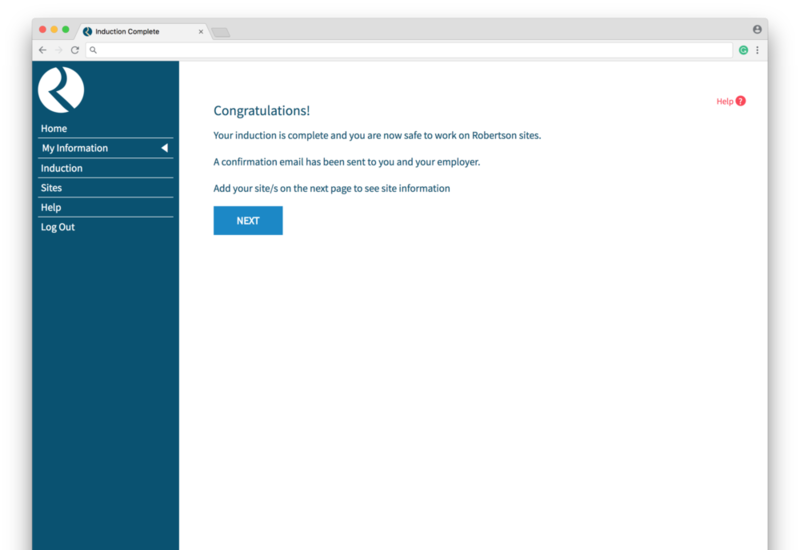 Once they select the site they will be working on, a notification is sent to the member of that site team to review the worker’s profile and approve for them to work on the site. Some workers will move to temporary accommodation whilst working on a site. Workers can list their temporary address to ensure KPIs are as accurate as possible. 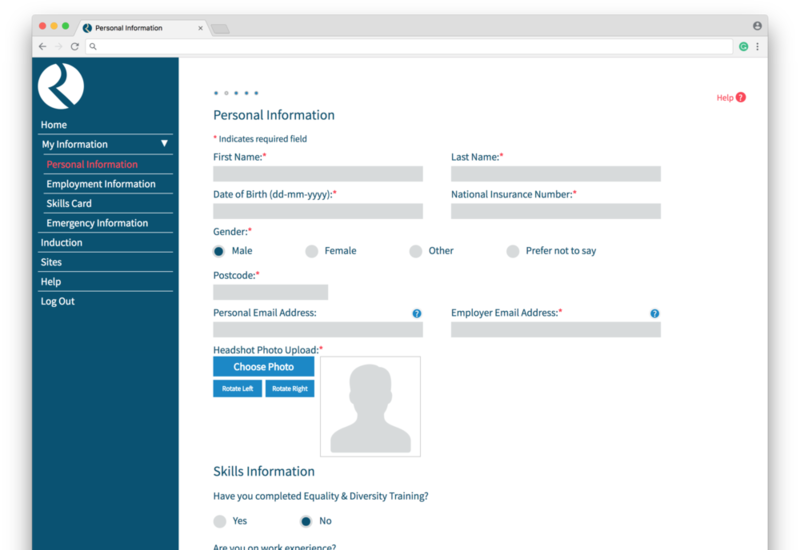 A worker can re-access their profile at any time in order to edit their information or re-complete their induction once it has expired. Answers to frequently asked questions are on hand to tackle any common queries. An email Helpdesk is also available 24/7 to answer any specific queries. 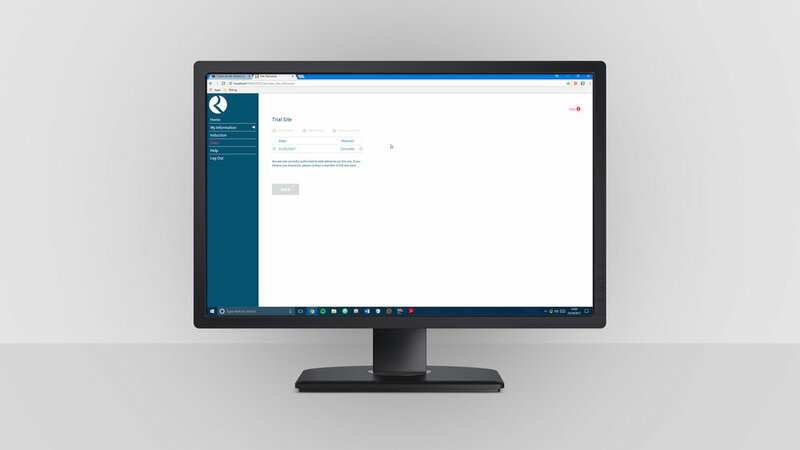 During the induction process, Robertson employees can verify their employment with the company and request access to the administrator panel. From here, the Robertson site team can check if a worker has completed their induction, manage their site, as well as manage deliveries. From here, an administrator can search an individual worker’s profile. They can be located using any piece of unique information e.g. Skills Card Number. Significant information about a worker is flagged on this page which may affect their ability to work safely onsite. 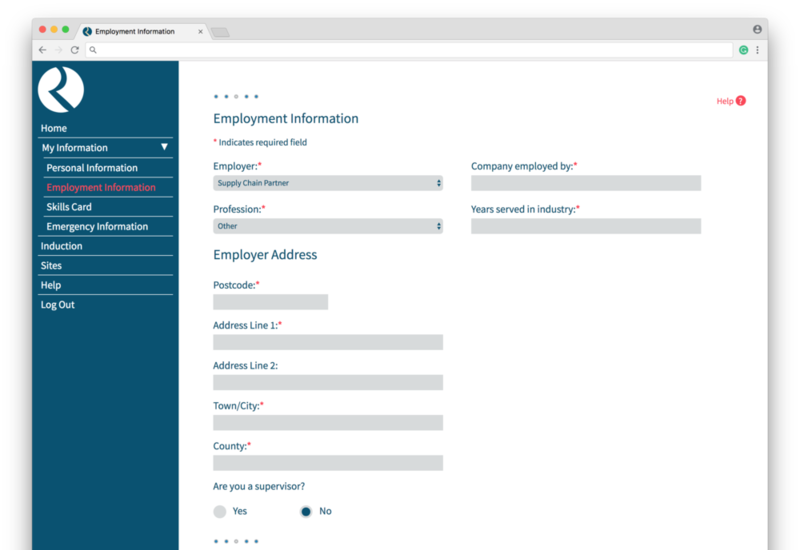 Selecting a worker from the Operative Search page allows the administrator to view an individual’s information. To help site teams share relevant information about an individual, comments can be added to the profile. 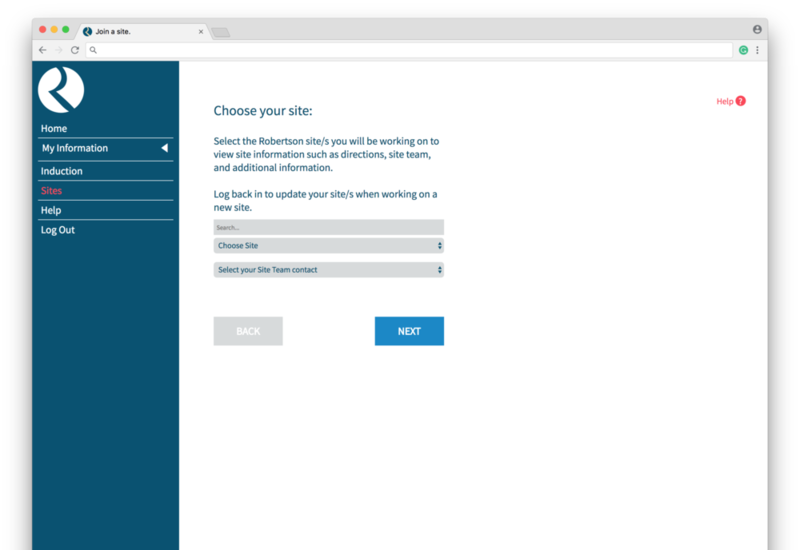 Administrators can manage deliveries for their site from this page. To add a delivery the administrator needs to indicate the date and time of delivery, followed by a brief description of the product and the manufacturing company. Once the delivery has arrived, the person delivering the goods will sign a form confirming the delivery of the product. The form will also ensure that they agree to the established Health and Safety requirements in order to enter site. "The time management benefit alone [of the system] would be in excess of the cost"
With the operational success of Pre Enrolment known across the industry, one operations manager at Robertson saw an opportunity for his upcoming site. Delivered through the SCAPE framework, the site's KPI reporting require a significant amount of data to be collected and processed. Working with the project team, we developed an approach for collecting the needs and requirements from across the company. This provided the information required to iterate and evolve the Pre Enrolment system to meet the objectives of Robertson Group. 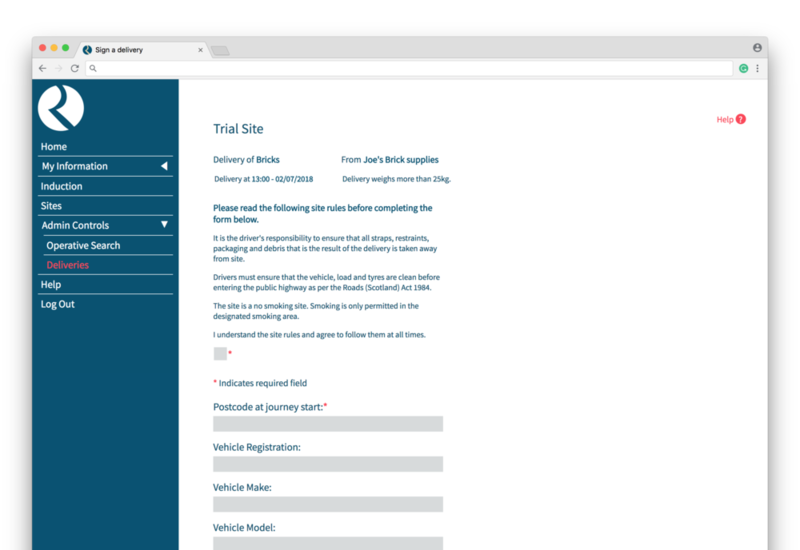 The system has been utilised by the project team to greatly improve the efficiency of the induction and reporting process for the site. With the template system forming a solid foundation for Robertson's system, we began discussing how else the solution could add even more value. Feedback from project teams indicated some of the problems they currently face using other products, which are not able to cater for their specific needs and requirements. Working to collate and analyse the feedback from users, plans for a delivery management function were drawn up. These new features would allow accurate scheduling of deliveries, communicate relevant site-specific information for drivers, as well as verify the material and safety requirements for each delivery. As a result of the approach taken, introducing the Pre Enrolment system and evolving, has helped to manage the introduction of the new system and deliver immediate everyday value for the business.